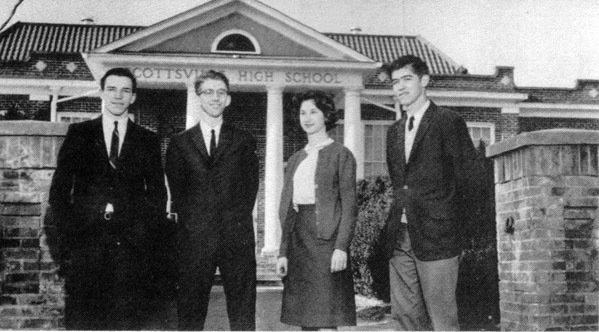 Comments: The Officers of the 1964 Senior Class at Scottsville High School (SHS) enjoy a breath of fresh air in front of the school: (L to R) President Pat Pitts; Vice President Mike O'Field; Secretary Baxter Allison; and Treasurer John Williamson. 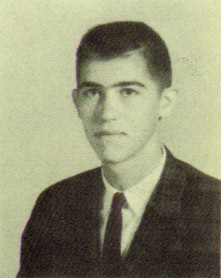 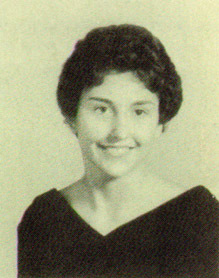 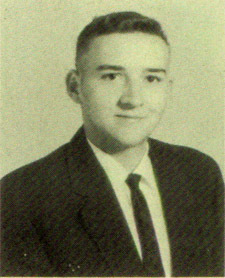 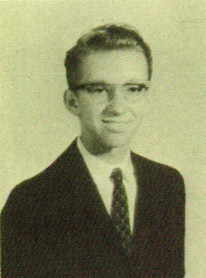 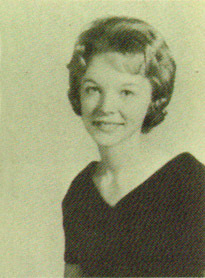 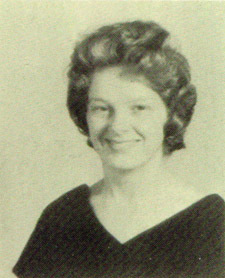 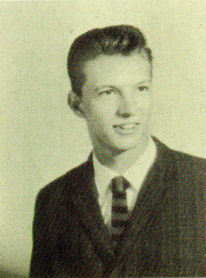 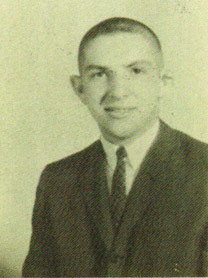 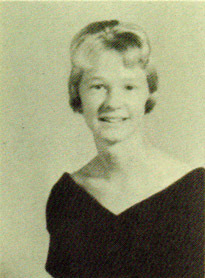 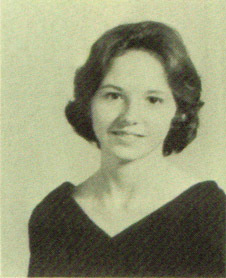 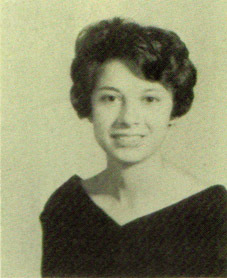 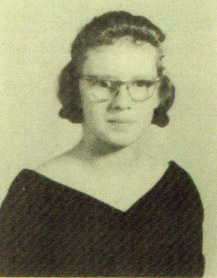 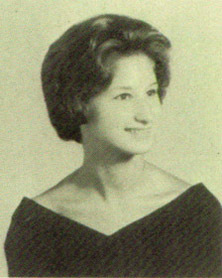 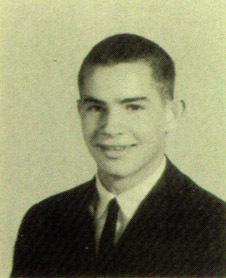 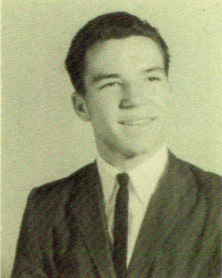 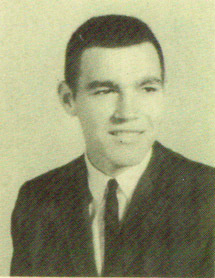 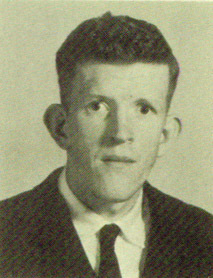 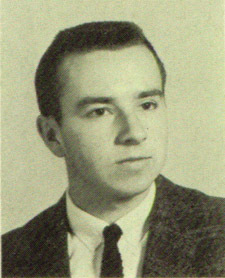 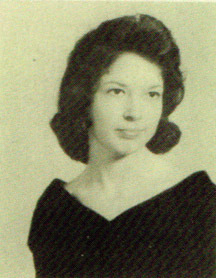 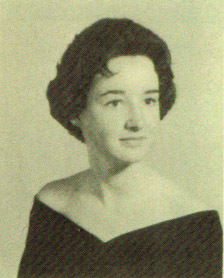 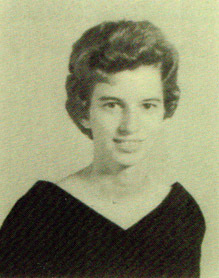 The academic leaders of SHS Class of 1964 were Valedictorian Baxter Allison who also won the English Award; Valedictorian Vivian Vance; and Salutatorian. 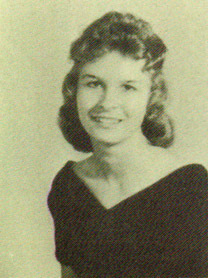 Vivian Vance also was awarded the United States Rubber Plant Award; Pat Pitts was awarded the DAR Good Citizenship Award.